Do you know what I always say? The world needs more werewolf films – so you can imagine how stoked I was to be asked to review Crying Wolf. The absence of creature feature films is becoming depressing; for me they’re part of the core of horror, in the sense that monsters were our original nightmares. Therefore the resurfacing of this genre excites me, especially when it’s werewolves as I find them alluring, strange and down right horrific, especially during the transformation process. Crying Wolf adds a unique modern twist to the genre and allows us to become submerged in the intricate lives of a wolf pack. The small and dreary English village of Deddington becomes swarmed with rumours of hungry monsters, psycho women, perverted priests and anything else the imagination could conjure up, after the brutal death of resident Charlotte. These tales attract reporters, detectives and even revenge seekers who believe overgrown, hairy, hungry werewolves are to blame. As they delve deeper into the remote community, they begin to realise that Little Red Riding Hood may have never been fictional. From the title sequence it’s already crystal clear that this b-movie was made with passion and an eye for film making, as we’re filled with some really great gory aesthetics. Crying Wolf is extremely high-paced as there’s an abundance of intertwining stories that you’ll completely miss if you aren’t giving your undivided attention. Some might find it too much hard work to watch, but I felt it brought a fresh, exciting and unique twist to the story whilst making sure the audience is fully engaged and entertained. The dynamics of the werewolf family and watching how they interact before the full moon has physically shifted them, shows that even monsters are open to a dysfunctional family life. Following the pack during their camping trip shows how hilariously dark it would be to live in a pack of animals. The acting throughout is convincing and the characters are really brought to life, with distinct behaviours being defined. For a movie on a budget, I was highly impressed by the werewolf make-up and gory effects, although it’s noticeable where money lacked as the CGI isn’t the greatest – but the brilliance of the FX effects makes up for it. Yes, I’m biased but us British know how to do werewolf films – just look at An American Werewolf in London and Dog Soldiers – and I think it’s been done again. The werewolves are menacing, unrelenting and damn right messy when it comes to hunting, but they’re also endearing and human, which makes us love them. 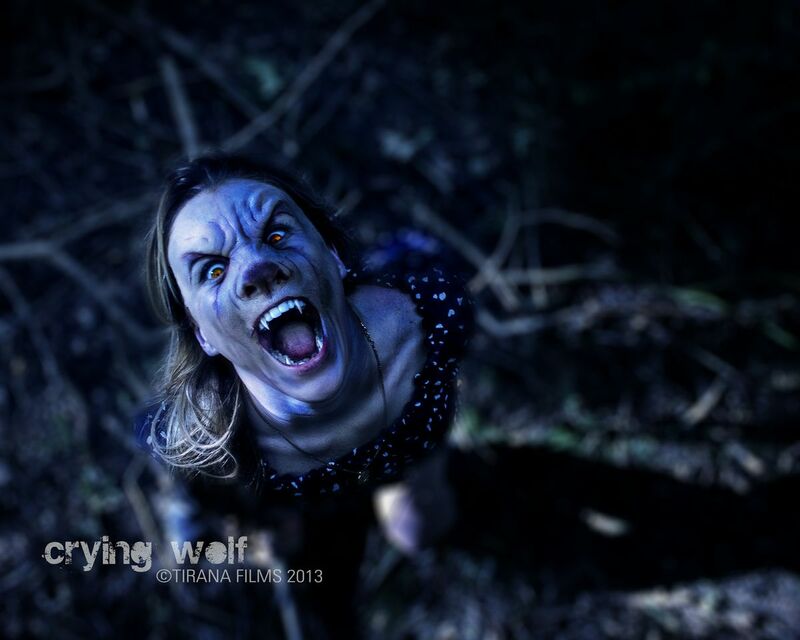 Crying Wolf is a furry and famished movie to proud of by everyone involved. If you’re fan of the aforementioned films or take pleasure in watching innocent villagers torn into obliteration by a deteriorating family of furry folks you should put this one on your movies to watch list. This sounds pretty cool to me. I also completely agree with you that the world needs more creature features. They are an essential part of horror and it is sad that they are in decline. It’s definitely worth a watch – I’d check them out on Twitter until it’s released to the public. They’ve been a building block for horror ever since the genre first started. Creature features were pretty much where the Universal Monsters came from; I do hope others follow the trend and bring them back!